The history of Ocher in Provence began 110 million years ago when the area was covered by a sea, which deposited a mix of gray clay and sea sand full of minerals. These minerals included Glauconite, the distant ancestor of Goethite which gives Ocher its color range from yellow, the iron oxide limonite, to orange, to red or iron oxide hematite. Man or pre-humans' use of Ocher began with body painting, burial and fertility rites as found in both Neanderthal and Cro-Magnon archeological sites. But the most dramatic prehistoric use of Ocher can be found in the nearby caves of Lascaux and Chauvet where some of the most beautiful examples of early human art have survived for over 30,000 years. * From the book Ocher, Colors of Provence by Jean-Michel Steber. Printed by Rimbaud-Cavaillon, France. Used with permission of the author. Photograph courtesy of the Guigou Family and Jean-Michel Steber. As Civilization progressed, the Greeks, Romans and Egyptians discovered even more colors, developing such early painting techniques as Encaustic (mixing pigments with beeswax) Fresco (painting directly into a limewash) and tempera (mixing pigments with an animal or plant glue.) Oil as a medium for painting was not extensively used until the Middle Ages and Renaissance period when the technique, along with watercolor use, was perfected and truly flourished. Pigments have played a part in all of human history, expressing our spirit in such diverse ways as fine art, war-paint, self-adornment and home decoration. Today many ancient painting techniques have made a great revival in contemporary society, and the desire to return to the serenity of Mother Nature with sustainable, non-toxic earth colors has made the use of natural pigments more popular than ever in our lives. 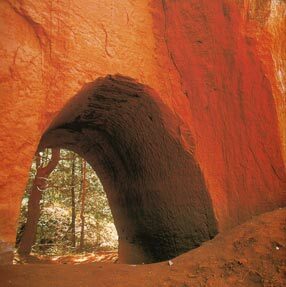 Our French Natural Earth and Ocher pigments have shared this immense history and played an important role in human history from prehistoric man, early civilization, and the Renaissance through to the unique colors and styles of today's Provence region from where they originate. 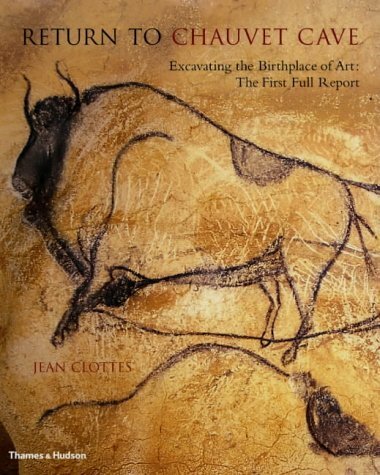 "RETURN TO CHAUVET CAVE - Excavating the Birthplace of Art: The First Full Report"
A wonderful book by Dr Jean Clottes on the Chauvet Cave featuring 209 illustrations, (208 in colour). Published by Thames & Hudson; ISBN: 0-500-51119-5.